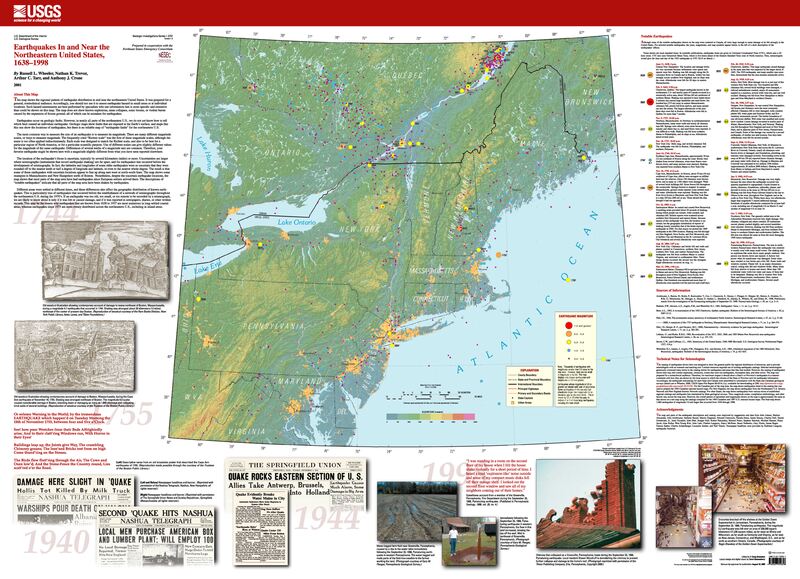 This map is presented in Portable Document Format. Adobe Acrobat Reader 4.0 is required to view it. If you wish to download Acrobat Reader 4.0 free of charge, click here. It is best to download a large PDF file to your hard drive rather than open it inside your browser. (A standard click may automatically open the PDF file inside the browser but doing so will result in a very slow load.) For guidance on how to do this, click here. Downloading the PDF file may take several moments but will be worth the wait. Once it is downloaded, open the PDF from your hard drive using Adobe Acrobat—it will load in a fraction of the time it would take to open the PDF over the internet. To order a paper copy of this map, phone 1-888-ASK-USGS.